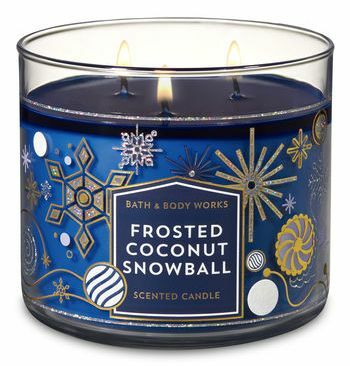 The Christmas scents from Bath & Body Works are in the house and they all sound pretty amazing. I’m not going to highlight every single one but I will highlight the scents that piqued my interest and the specific fragrances I want to review. With their $12.95 sale plus 20% off, it’s kind of hard to resist. 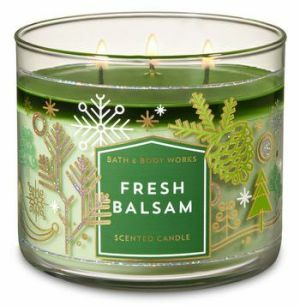 Fresh Balsam isn’t new this year but it’s a great candle to burn if you love the fresh scent of Christmas Trees! This one is a fairly good rendition and easily purchased online or at one of their stores. I highly recommend this one. 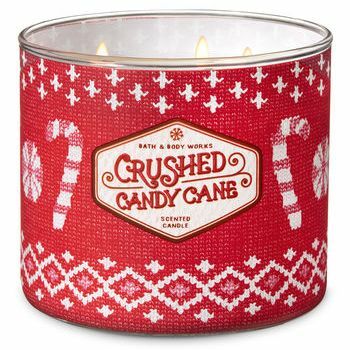 What a cute Christmas candle and it has coconut in it! I’m sold and have already purchased one to review. I’m hoping the toasted coconut and whipped cream play a huge role with this one. We shall see! I have this scent in Bath & Body Works hand soap and it smells AMAZING!!!! 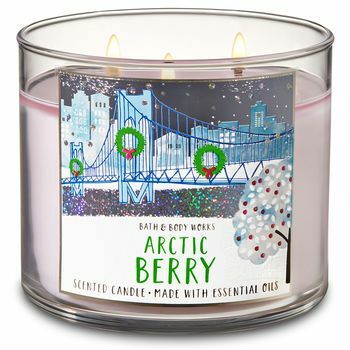 It smells like a crisp and minty berries with the perfect touch of balsam. I love it!!! Review coming! I have a feeling I am going to love this fragrance. It sounds perfect. Rosemary – love! 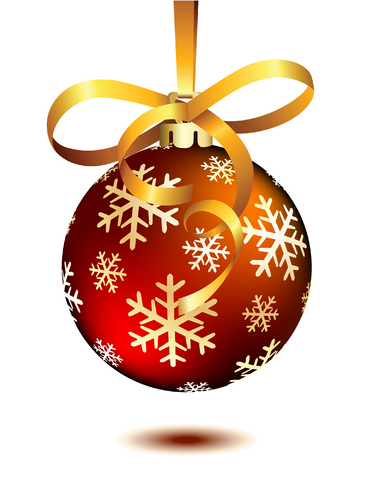 Pine – love! 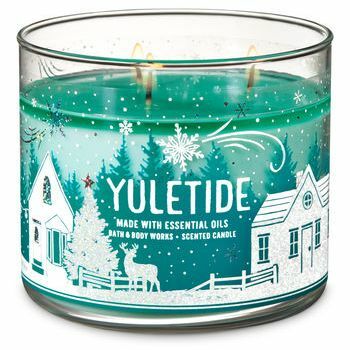 Eucalyptus & Cedar – oh yes!!! I’ll take five please!! Just purchased one to review and if I love it, I’m going back for several more. 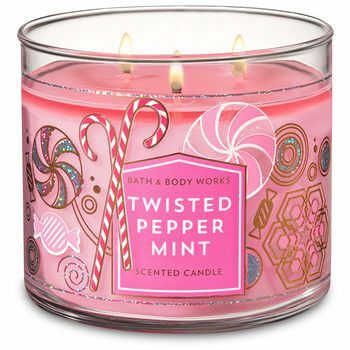 Twisted Peppermint is another oldie but goody and a must try this holiday season if you love the fresh scent of peppermint candies with LOTS of sugar. I’ve never smelled musk or fresh balsam in previous versions I’ve tried so who knows if they’ve reformulated this one? It’s on my list to purchase so we shall see. Okay, not exactly a classic kind of Christmas scent but dang! It sounds too yummy not to try. Mocha! Candy Canes! Whipped Cream! Oh yummo! On the plus side, it looks Christmas’y. Bottom line… I. Must. Have. It! Mmmm! I wouldn’t mind this cute pink Christmas candle under the Christmas tree for me. Super cute candle! The scent sounds AMAZING! 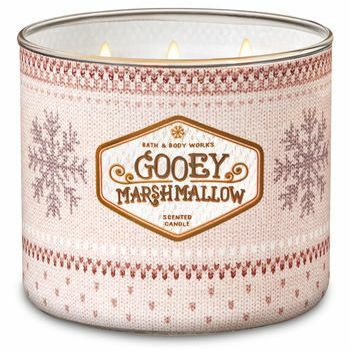 I love marshmallow scents and Bath & Body Works comes up with some yummy ones. This candle has my name written all over it! 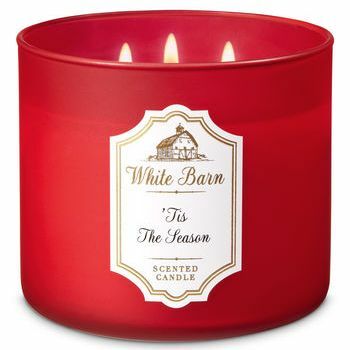 Can’t end this post without including one of two White Barn holiday candles. Gingerbread & Caramel sounds pretty amazing, a perfect holiday spicy bakery scent with lots of warmth and yum. Doesn’t hurt this candle is a gorgeous deep red. I can’t wait to burn this one! Mmm!! 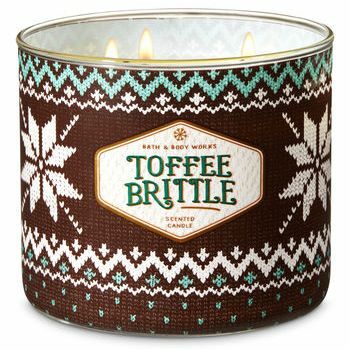 I’ve smelled this candle and it’s pretty wonderful and a perfect holiday scent if you love cinnamon, apples and cider. That’s what this fragrance reminds me of. A warm and cozy apple scent with the perfect touch of spice. And there you have it candle lovers!! 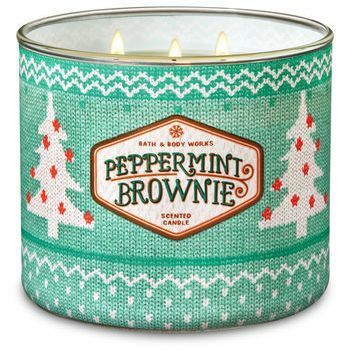 11 holiday and Christmas scents worth checking out this year at Bath & Body Works. They’re always running sales and their scents can’t be beat. I’ll be reviewing the majority of the scents above so stay tuned for new Christmas candle reviews to come.